When beginning your initial home search, the variety of architectural styles available even in a mid-sized city like Chattanooga can be overwhelming. Whenever home buyers picture “modern” or “contemporary,” a mental snapshot of a squeaky clean or minimalist layout is usually the first concept that pops into their mind. Modern and contemporary style homes are often associated with higher price ranges, but this architectural movement came into effect during the post-war housing boom. During this era, a number of modestly sized homes popped up in the suburbs of many of America’s major cities that took inspiration from famous Midcentury Modern architects. This architectural style is still popular today, but remains recognizable by unique design elements that make the home stand out from your typical traditional style construction. Many people often use the terms “modern” and “contemporary” interchangeably. However, the term modern is only referring to a specific period of time when the home was built—usually from 1920 to 1950. In the Southeast, many homes of this style did not spring up until the 1960’s and 1970’s. 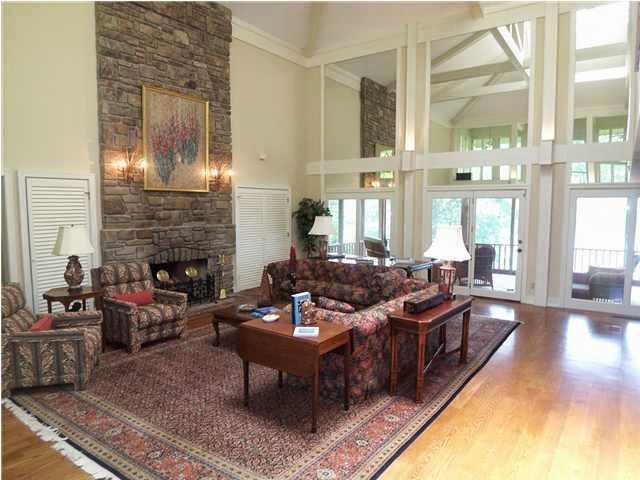 In Chattanooga, this design is most recognizable in many lake homes currently for sale. Architects such as Frank Lloyd Wright drew inspiration from the waning Arts & Crafts movement. Later, real estate developers like Joseph Eichler transformed this design from an architectural novelty into an option for buyers in his highly coveted subdivisions primarily located in California. Designers and architects use the term contemporary to define what is popular or trending in the present day. Midcentury modern homes are gaining even more historic novelty as decades progress, while the contemporary style is fluid and constantly changing to fit the demands of present day housing trends. 2. Integration with Surrounding Landscape: A shared concept of Midcentury modern and contemporary architecture is to allow the home’s interior to blend in with the exterior landscape and designing rooms with multiple views of the outdoor landscape. 5. Clean & Simple Lines: A “less is more” craftsmanship style often supports the home’s layout, using plain facades, sharp lines in shelving and cabinetry are a timeless keystone of a modern home.